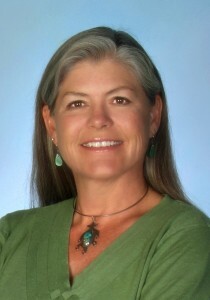 I have been a licensed Real Estate Broker in the state of New Mexico for over twenty years. I have acquired expertise in all facets of the real estate industry, with particular attention given to the complications of rural transactions. I am proud to be a part of the Zia Realty Group. I enjoy providing professional service with attention to each client’s individual needs. I am scrupulous, tenacious and congenial. I will provide you with a trouble-free transaction. Northern New Mexico has been my home for more than thirty years. I have raised my daughter, Allison, in the Espanola Valley and have provided many volunteer hours for the benefit of children in the valley. Most recently, I helped open the doors of the Chimayo Youth Conservation Corps, an organization dedicated to promoting our youth as a valuable resource. I love the clear western sky, the astounding natural beauty, and I deeply appreciate the unique cultural heritage and history of this area. In fact, Northern New Mexico has recently been declared a National Cultural Heritage Site. I am always happy to share this knowledge with newcomers. I have served as Vice-president and Secretary/Treasurer of the Espanola Valley Board of Realtors, and on the Rio Arriba Comprehensive Plan Task Force. I know this market. I also enjoy many of the outdoor recreational activities that beautiful Northern New Mexico has to offer, hiking, horses, gardening and winter sports. Please call me for assistance with any type of real estate transaction. If you know somebody that I might be able to help send them to me because a referral is the greatest compliment that I can receive.